Seine-Saint-Denis municipalities vector map with names ( France ). Illustrator, EPS, PDF and SVG ready to use files. Supplied with with a complete list and zipcodes of Seine-Saint-Denis municipalities (Excel). 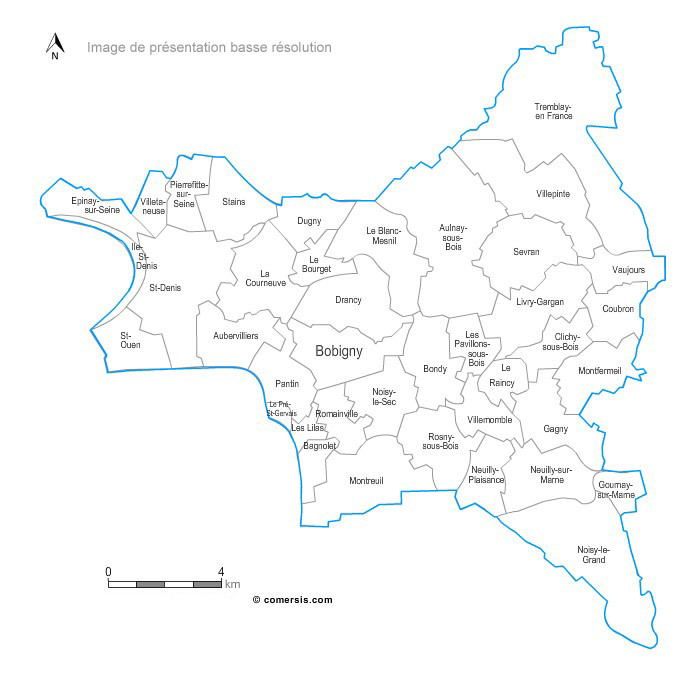 Resizable : The map of Seine-Saint-Denis municipalities is drawn in vector wich allows a lossless image quality resize. Splittable : You can easily select one or several areas (cities) of this map in order to create a detail map view (a kind of zoom) and resize it as you need. 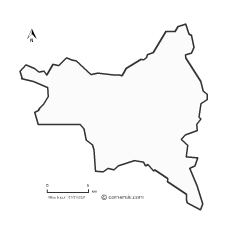 Colorable : Each division of this map (municipalities) is independant. Borders, outlines, shapes, layout, texts can be modified.